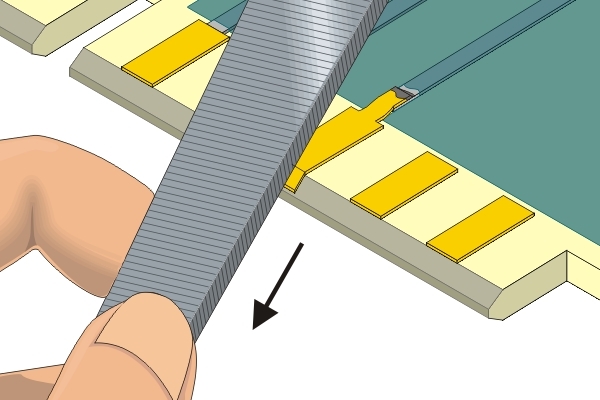 This method is used to replace a damaged edge contact with a new edge contact. 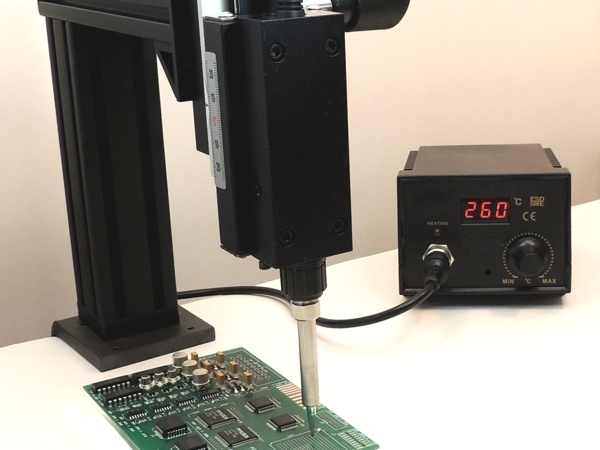 The new edge contact has a dry-film adhesive backing and is bonded to the circuit board surface using using a Bonding Station or Bonding System. Remove the defective edge contact and remove solder mask from the connecting circuit. Select a replacement contact that matches the missing contact. Scrape off the adhesive bonding film from the solder joint area on the back of new contact. Cut out the new edge contact. Cut from the plated side. Place the new edge contact in place using high temperature tape. 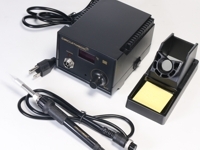 Bond the new edge contact with a Bonding System or Bonding Station. File overhanging piece of the new edge contact to blend with existing bevel. It is essential that the board surface be smooth and flat. If the base material is damaged see appropriate procedure. This method uses replacement edge contacts that are fabricated from copper foil and have a dry film adhesive coating on the back. 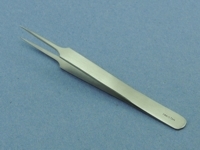 They are available in hundreds of sizes and shapes and are generally supplied nickel and gold plated. If a special size or shape is needed it can be custom fabricated. 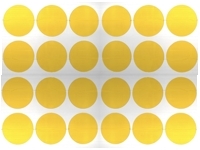 Delivers the optimal heat for curing adhesive bonding film. 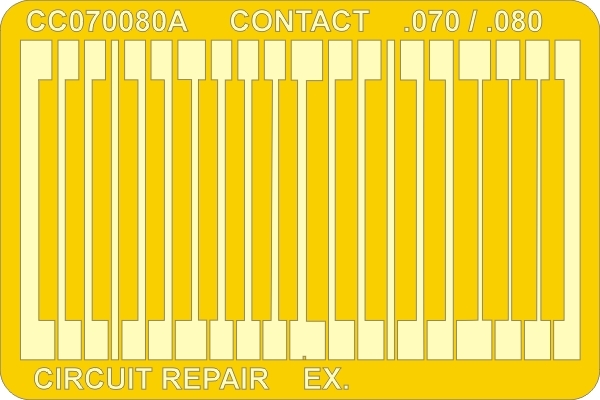 Figure 1: Remove the defective edge contact and remove solder mask from the connecting circuit. 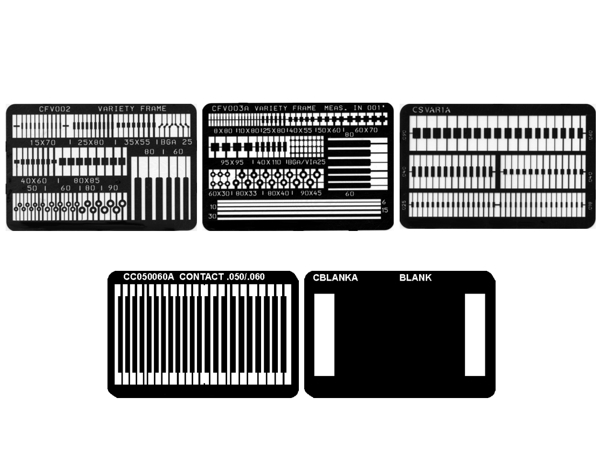 Figure 2: Select a replacement contact that matches the missing contact. Figure 3: Scrape off the adhesive bonding film from the solder joint area on the back of new contact. 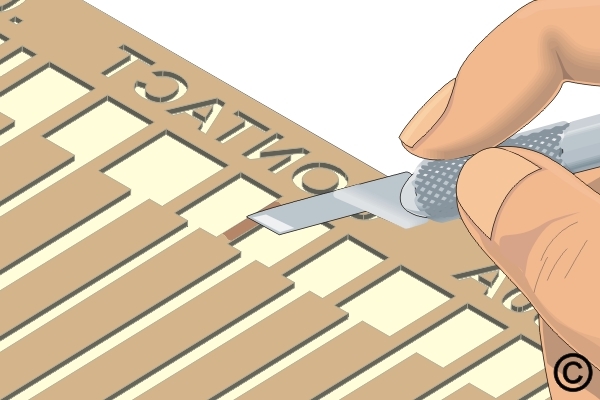 Figure 4: Cut out the new edge contact. Cut from the plated side. 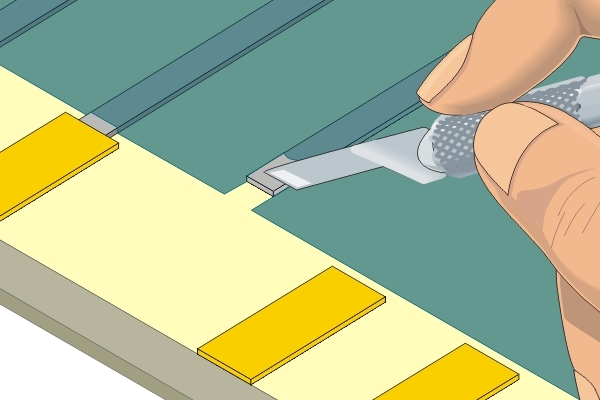 Figure 5: Place the new edge contact in place using high temperature tape. 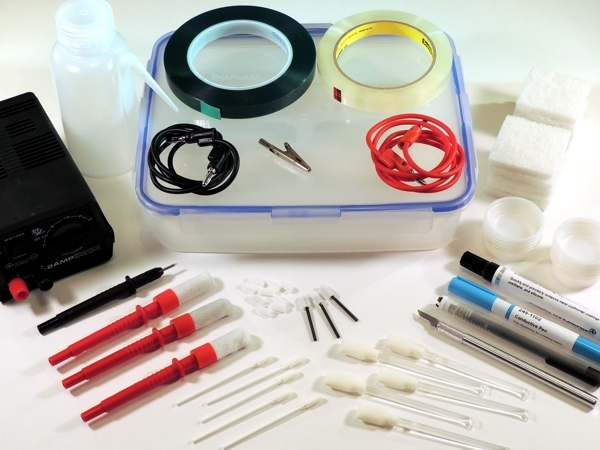 Figure 6: Bond the new edge contact with a Bonding System or Bonding Station. Figure 7: File overhanging piece of the new edge contact to blend with existing bevel. The area for the new edge contact on the board surface must be smooth and flat. If internal fibers of the board are exposed or deep scratches exist in the surface they should be repaired. Refer to appropriate procedure. The new replacement edge contact may be trimmed from copper sheet. Scrape off the epoxy backing only from the joint connection area. 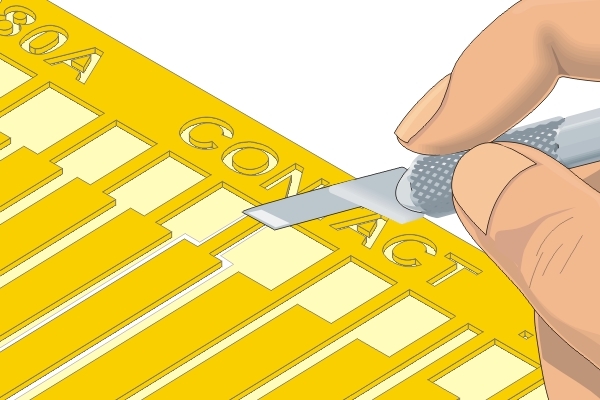 When handling the replacement contact, avoid touching the epoxy backing with your fingers or other materials that may contaminate the surface and reduce the bond strength. 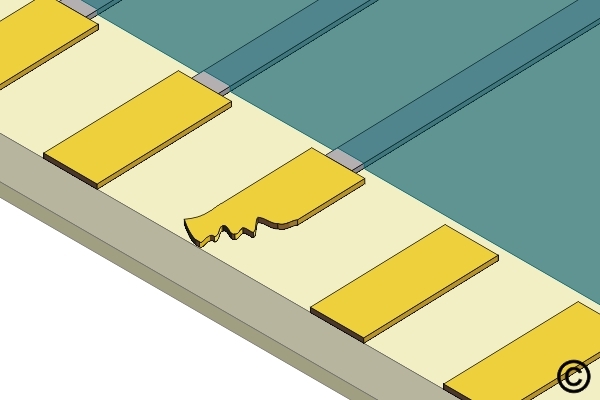 Allow the edge contact to overhang the edge of the circuit board. Select a bonding tip with a shape to match the shape of the new edge contact. 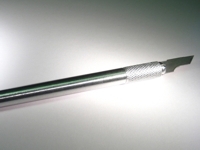 The bonding tip should be as small as possible but completely cover the entire surface of the new edge contact. 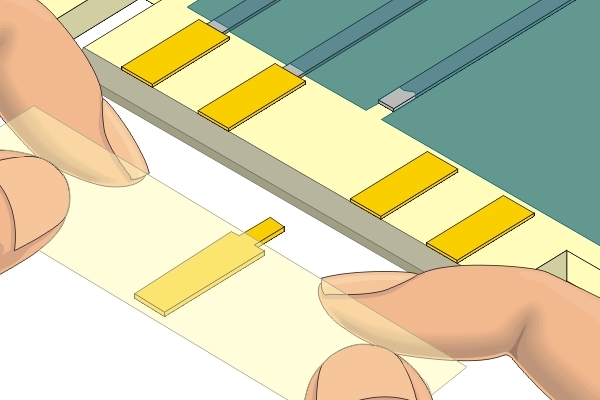 Excessive bonding pressure may cause measling in the circuit board surface or may cause the new contact to slide out of position. 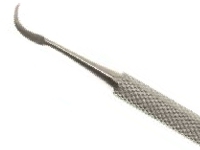 Gently place the bonding tip directly onto the contact. Apply pressure as recommended in the manual of the repair system or repair kit for an additional 30 seconds to fully bond the contact. After the bonding cycle remove the tape used for alignment. The new edge contact is fully cured. Carefully clean the area and inspect the new edge contact for proper alignment. 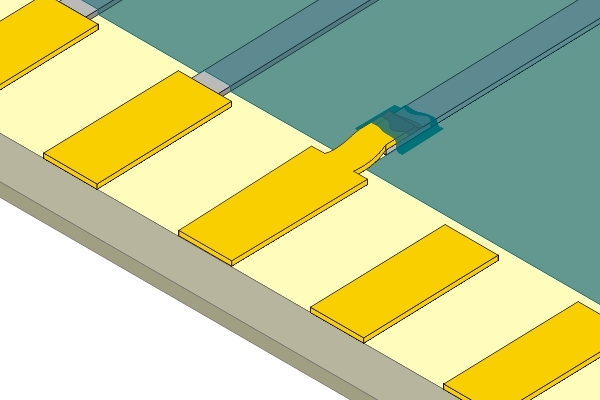 If the new edge contact has a connecting circuit apply a small amount of liquid flux to the lap solder joint connection area and solder the circuit from the new edge contact to the circuit on the circuit board surface. 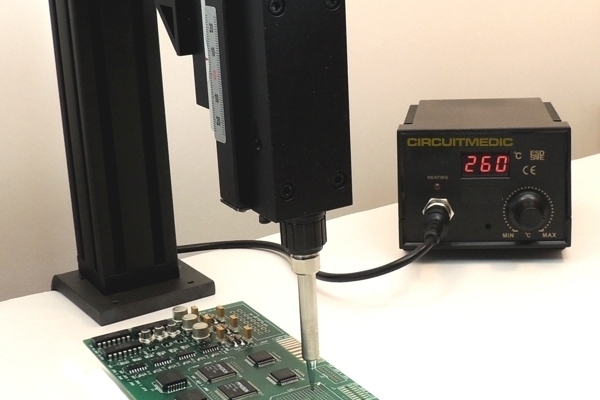 Use minimal flux and solder to ensure a reliable connection. Tape may be placed over the top of the new edge contact to prevent excess solder overflow. 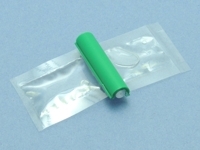 If sealing the lap solder joint connection is required, mix epoxy and coat the lap solder joint connections. 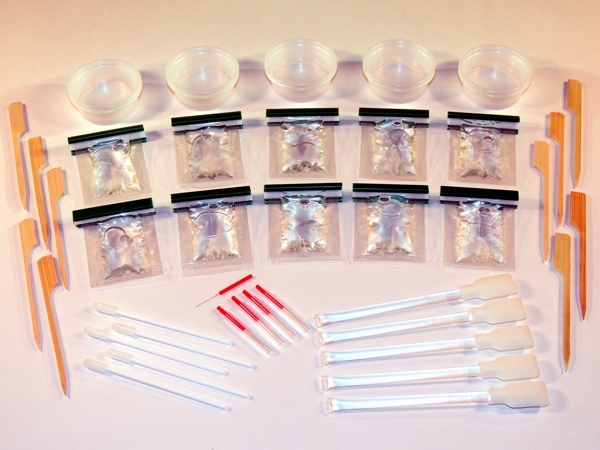 Cure the epoxy per Procedure 2.7 Epoxy Mixing and Handling. Additional epoxy can be applied around the perimeter of the new edge contact to provide additional bond strength. Visual examination, measurement of new contact width and spacing. 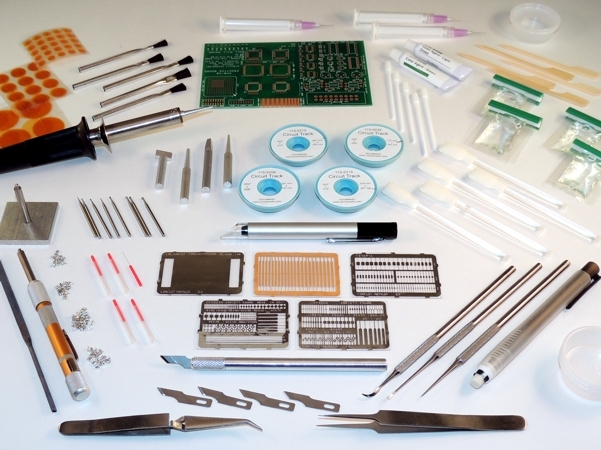 Kit to repair and replate damaged gold edge contacts and pads on circuit boards.